Please follow this link to view the timetable for all clubs and activities for the Spring Term 2019. Students have the opportunity to become involved in a variety of sports activities during the lunch period and after school. 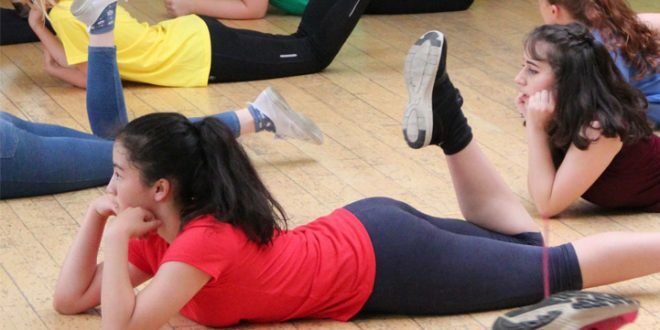 These include netball, rugby, badminton, hockey, basketball, football, trampolining, cricket, tennis, table-tennis, rounders, volleyball and athletics. A full list of clubs is published at the beginning of each term. Students in Years 10 and 11 may use the time to develop their artistic talents in the art studio and students of all ages enjoy working in design and technology. The drama studio and music rooms are also in regular use for rehearsals in preparation for college productions and the upper school studio productions. There are also clubs to encourage musical talents, with opportunities for students to become members of the choir, string, woodwind, jazz and brass groups. The library and the ICT rooms are in constant use by all year groups. On Monday and Thursday after school, other areas are also open and fully staffed. This includes assistance with homework and GCSE coursework. A number of other after school clubs are run by different subject areas, sometimes on a seasonal basis. Transport to Willingham and Waterbeach is available on Mondays and Thursdays. Once a letter from home giving permission to stay for a club is received, students will be able to sign up for a place on the minibus. In addition to the above there are rehearsals for the college production on Tuesdays and Thursdays; sports fixtures are usually on Wednesdays; tournaments are on Tuesdays and Thursdays. NB: Other Rounders and Cricket fixtures may be organised at a later date!